Kris is best known for the upcoming Ken Loach film Sorry We Missed You (2019), The Navigators (2001) and Dependent (2017); and is due to appear alongside Sheridan Smith in a new drama - The Barking Murders. Commenting on his experience at Cloughs, Kris said: "Cloughs, for me, are the only opticians worth considering. From the service I received to the quality of eyewear available, they really are second to none. 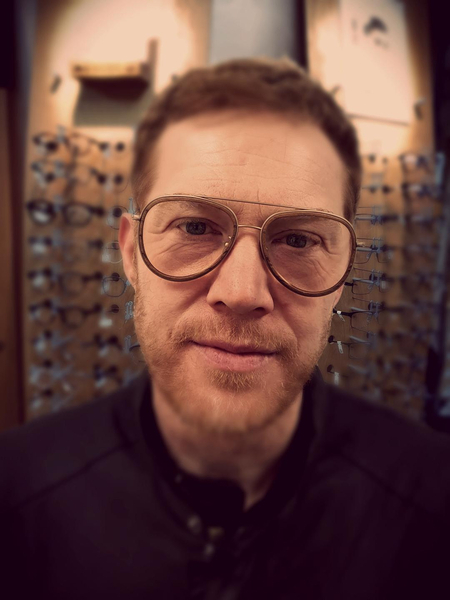 When I wanted something that little bit different, they delivered, providing me with frames I customised myself – with a little help from Scott – which are completely unique. Thank you, Cloughs. You really are number 1!" The eyewear chosen by Kris was from our Feb 31st range and were custom made. To find out more about Feb 31st click here.